With SEO being all the rave right now, here are five things to keep in mind before engaging any SEO campaign. Search engine optimization is about setting realistic goals within respectable guidelines, seeing past short-term setbacks and targeting the phrases with the most significance (and traffic) within your market. Websites do not optimize themselves, but knowing what to expect is instrumental prior to embarking on the journey of targeting competitive keyword verticals. It takes time: Like anything worthwhile, good things come to those who wait? 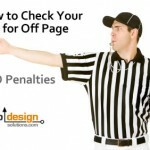 Of course while you’re waiting, you could always spend money on PPC if you are impatient. Cost for cost (SEO pricing vs. PPC) is all about cost to value received, SEO is an investment while PPC is just like paying rent. Sure, they both drive traffic, but one is far more sustainable than the other (providing less risk and greater reward). You may have to change a few things: There is a reason why sites that are optimized and ones that are not rank differently. It’s all about the continuity of purpose that unifies each page in a site for a particular purpose with optimization and the best sites only have minor differences on the outside. It is what occurs on the level of site architecture, naming conventions, meta tags and internal links that can rank of tank a site, so don’t be surprised if some pages don’t make the SEO grade and need a slight makeover to change things up. Monitor the baseline: You need to know where you’re at, to understand where you’re going. What metrics matter most? The answer is simple, traffic and conversion, but more importantly more relevant traffic and using a diversity of related semantic content to target a market and not just a few keywords. There is no such thing as too much Keyword Research: Keep in mind that what is relevant and hot today, may be yesterday’s news tomorrow. 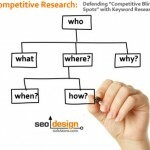 There is no such thing as too much keyword research, so dig deep into trends while improving traction for your markets root phrases and lucrative two and three word keyword combinations. Understand the value of perpetual momentum: Once a site gains a significant foothold in a niche or market, the barrier to entry lessens. Specifically the more related and overlapping keywords surrounding a contextual array of phrases you optimize for, the better. Each page optimized for 3 distinct keywords can translate into dozens of keywords if a website has authority. 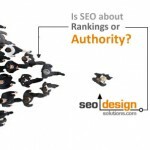 The more authority a website has, then the less you have to concern yourself with optimizing for keywords, just the mere fact that someone searched for a related phrase or keyword that happens to exist on some page in your website, if you have more authority then your site can outrank your competitors based on the degree of trust it has acquired. Wow! 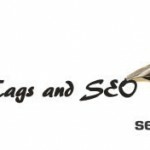 This is really great article for SEO experts. Good job! Thank you! Thank you, SEO is just a game , we just try to win this game. 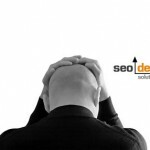 This is a great outline for those who need SEO services. 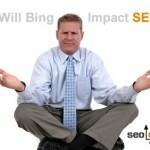 Yes, it takes time so plan accordingly, as Andy said there’s no “instantaneous” in SEO. great article! I think all five points given point is enough to describe briefly importance and work of seo .its true Seo work improves your site ranking effectively but it takes time. Well I will add up,It depends on what your conversion is for that page. Let’s say for instance it’s purchases. You can get a better idea of how well your page is performing by having a call to action button or hyperlink on the page, and seeing how often it’s clicked .If you don’t have a call to action, you can use GA to see where people went after going to this page – especially the exit page. Did they end up on the page you wanted to get that conversion? I agree with #1. It really takes time. So there should also be patience, perseverance and determination. Most importantly, never quit. 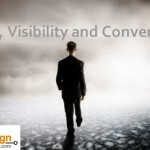 I have found these tools to be the most helpful in understanding and solving issues you have with your site and how you can improve these things. 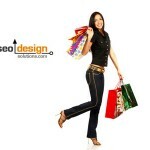 Hubspot.com and seomoz.org are great tools to help you accomplish your SEO goals. Website optimisation is one of the most effective SEO tactics being offered by marketing companies nowadays, such as those in Scotland. Since your website serves as your online store where clients can review your products and services, it needs to attract the notice of your targeted audiences.